The days of Dad having to lug around the gigantic camcorder are over!!! This cool little Flip SlideHD camera is awesome! Sponsored by Flip, we’re excited about this giveaway. I created my video as a first time user in less than 15 minutes, without even reading instructions! See mine below. 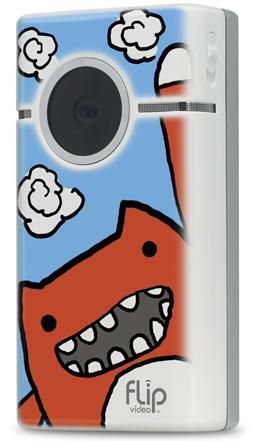 Flip is offering a Flip SlideHD camera to one randomly selected winner. Faithful Provisions Giveaway Disclosure: Flip sponsored this giveaway by providing me with Flip Slide HD and a Flip SlideHD camera to give away to randomly selected winner. For more information about Faithful Provisions, please read my Disclosure Policy. 5. Follow Faithful Provisions and/or Flip on Facebook — just paste this message on your personal Facebook wall so your friends will see it. Faithful Provisions.com is offering a Flip Slide camera! Stop by to enter http://bit.ly/fp-flip . Our camcorder is so old and doesn’t work right anymore. This would be awesome! Our video recorder just dies last month. This would be great!! The Flip looks so cool! I would love to have one. My daughter used to have an older version of the flip…these little camcorders are so cool. This would be so much fun. We’ve never owned a camcorder or anything like this, so we’d def have a blast! OOOh what a fantastic prize!! So cool – had never seen this before! This would be great for my god daughter. I have been wanting one of these!!! .-= Staci´s last blog ..HOT Cellfire Coupon for Kroger Customers =-. We don’t own a video camera and my hubby is going to Italy with school in the fall. This would be great to let him take along and capture Italy for me! I would love to win this! My hubby is leaving for Afghan soon and this would be a great way to send him video’s while he’s away! My husband would love this! He’s always recording our kids on his blackberry, but the quality is terrible. I’d love to give him this. That would make an AMAZING Father’s Day gift! He could use it at Youthgroup!!! Already a facebook fan. Thanks! .-= Kira´s last blog ..Powermat Giveaway =-. We desperately need a new camcorder. I subscribe to your email newsletter, and would love to win the flip camera. Thanks! This would be great for Father’s Day! My husband would LOVE it! My camera does not have video abilities, so this would be really fun! Thanks for the opportunity to win this awesome prize! It would be great for capturing special moments of the grandchildren! Congrats to the winner! Looks like so much fun! We love making videos for out of town grandparents…this would be so much easier and faster. Thanks for the great blog and fun contest. FB fan and posted it on wall. Oh I could really use one of these!!! .-= Julia´s last blog ..Fathom – Wordy Wednesday =-. I shared the contest link on my personal facebook page. I’ve alway wanted a camcorder! That looks so cool, my husband would LOVE it!! My video recorder is a dinosour!!! It’s the kind that you use the regular sized VHS tapes! But it still works! LOL! I would love to be able to surprise my hubby with this little Flip Side! It looks so FUN! I would love to win this! My husband would love it too! I subscribe to your email newsletter ! I’m also a fan of your page! Awesome giveaway!! I wNEED a quck a nd easy way to capture the great moments of my 3 boys!!! We would love to upgrade our video camera to an HD camcorder. Now that we have an HD TV, our videos of our 20 month old son doesn’t look so nice. we have a new grandbaby..this would be great! We don’t even have a camcorder. This is awesome! This is the one I’ve been waiting for. Great giveaway. This would be so neat! My kids would even love it! we sure could use and update. would love some thing sooo lite weight. Flip video cameras are great! I used one in the classroom when I was a teacher, and it was perfect. This new version looks so cool. Also subscribe to your emails…. This is something my wife and I have been looking at! Would be great to win one! I am now an email subscriber!! What a great camera, thanks for the chance! This would be great for my husband! It doesn’t get simpler than the Flip!! We have an older, “big” camcorder, so we hardly ever use it as it is so bulky to carry around. We have four children, and would take a lot more video if we had something this small and easy to use! Thanks! I follow FaithfulProv on twitter. I follow on facebook! this would be a great gift for the hubby to take fishing! I would love to have a camcorder to capture precious family memories! blog on discussion page …. thanks so much! I ‘tweeted’ the contest link on twitter. Hope I win! Thanks! This would be so great. My husbands camcorder took a header and doesn’t work. Wahoo! I have been eyeing these! how fun! (I subscribed to your newsletter too!! My hubby would love this little contraption! This would be so awesome to have :)! GREAT GIVEAWAY! Something my husband would use A LOT!!! This is very cool little camera. We go camping all the time so this would be nice to have on hand other then our bluky camcorder we have now. I am a facebook fan and this would make a great Father’s day present! THanks!! I would love one of these to document my kids’ lives as they grow…especially to out of town family that don’t get to see them that often. Shared this one on Facebook! My dad is a video junky…he is always taking videos. This would be amazing for him! I’ll never win, but sure would be nice! Oh, I totally want want of these! My friend said it was the best splurge she has made besides her iphone!! We video our kids and also our Young Life kids all the time. LOVE this product!! With two little kids, a camcorder would be AMAZING! I follow you via e-mail, too! our family would make great use of this! Love this giveaway! Need a camera so this is great! I’d love to win this for my husband, he’s in the Navy and gone alot and we have a young son who is now doing new stuff every day. .-= katie @sailorsprincess´s last blog ..Wanna check out my Guest Spot?? LOL =-. Would love to win this for my hubby. Our camera broke and we have a new baby at home so it would be awesome for him to get to video our lil munchkin. I like Faithful Provisions on FB! i would love this my son is big into drama. i would love to have a good camera to take video of his plays. Would love to win a FLip!! I am an email subscriber and would LOVE to win this giveaway! I haven’t had a camcorder in years! This would make such a great father’s day present! Our oldest just started T-Ball and his Daddy is so proud! I liked faithful provisions on facebook and posted your giveaway on my page for all my friends to see.. I soooo need to become more spontaneous with my videorecording. This little goodie will be just the thing to help me make it happen! Thanks for the chance to win. This would be a great travel camera! I Like Faithful Provisions on Facebook. This would be so great! With 4 kids, I often forget to take along my bulky video camera. I would love to win this for my hubby who is a great father to our 3. We haven’t had a camcorder in years!!! We need one!!! I signed up for your daily newsletter at georgianaowens at ymail dot com. I am so excited about this giveaway, My husband’s job is moving us to New York from Texas and I would thave this to use while we are in New York. My husband loves small video cameras! This would be a great gift for him! My husband would love this for video taping our two beautiful little girls. At the ages of 3 and 5, they are starting to do more performances and stuff than our digital camera can record (with a limit of 2 minute taping time). Love, love, love the Dads Rock Giveaway Bash! thanks for offering this prize! .-= Tabitha (A Penny Saved)´s last blog ..FREE Lowes Build & Grow Clinic =-. .-= Janell Poulette´s last blog ..Buy With Me – Save up to 90% =-. Following you on Facebook. If you would like to follow me too, you can find me at facebook.com/apennysaved. subscribed to e-mail and became a FB fan! I can’t find the chargers to either of my video cameras – think the ex husband has them. So this would be amazing for my two kids!!! thanks kelley! Tried to post your badge to my blog roll but the url could not be found. Can you send me the code by email? We would SO love to win one of these!!! I need this for my vacation that is approaching soon! This would be a fantastic gift! Thank you for the opportunity! Also follow you on FB! I’ve had my eye on these for a long time. It’d be awesome to win one. Thanks! My little girl is growing up and I really need to start thinking about getting some of it on video…she is such a crack up now! .-= Amy´s last blog ..Purse Addiction =-. Flip-camera, or no flip-camera, I agree…this dad DOES rock! Dads matter! What a great dad! This video made my heart smile! Thanks! Not sure if my dad would quite know how to handle it, but imagine all the hours of laughter while we taught him……oh such a sweet sound. This would be great for his new grandbaby! We only have a camera that takes videos. Our camcorder broke a couple of years ago. This will help out greatly with taking videos. How fun! Would love to win this! Posted this giveaway on my Facebook wall! Our camcorder is old and really big so we don’t use it as much as we should. My hubby would LOVE this for father’s day! This is sooooo neat and would be so great and easy to be able to take along with a 2 yr old. This would be lots of fun, a definite upgrade for us! This is so cute – I love the design! .-= Marissa´s last blog ..Father’s Day is coming up! Dad’s Rock! =-. Big fan of the flip! I’d love to win one for my dad! .-= Christine (iDreamofClean)´s last blog ..Caring For Your Bathing Suit =-. I would love to win something to give my husband for Fathers Day this year. In 2008 he was laid off and we lost our home and our cars. My husband and I decided the best thing for our family was for him to go back to school and train for a different career. He is a full time student and is doing so well in school and unfortunately because of me being the only one working we dont have any extra money to do anything for Fathers Day. He is a wonderful husband , father and man and he goes out of his way to try and help others as much as he can and I would love to be able to show him how much we appreciate him and how proud of him we are this Fathers Day. My friend has one and it seems so simple to use. Would LOVE to win this! Wow Would LOVE to win this!!! We to do not have a camcorder and this would be perfect!! We use Flip cameras at school all the time, I’d love to have one of my own! how fun would this be–!! Good father’s day gift for the mother ! Love the video! Too cute, your kids are adorable! We don’t even own a regular camcorder so my husband would love this. Facebook Fan, and posted a link on my wall. My fingers are crossed tightly! I need a digital video camera… my old one is a dinosaur! “Grandpa” would love this for taking video of his little guy! What a cute video & I would LOVE to win a Flip camcorder! .-= Heather G ´s last blog ..Done for love =-. my cancorder is bulky getting ready for a vacation too!! This would be a cool gift for our family. .-= Heather G´s last blog ..Done for love =-. .-= Eleanor´s last blog ..Dove Damage Therapy – FREE Sample! =-. We would love this for when the grandsons come to see Nana and Poppa. With the economy like it is, we cannot afford a new camcorder. Ours bit the dust and we’ve been trying to save for a new one. We used it to record my husband’s sermons – he’s a new preacher after fighting the call for a few years – and our son’s football games. This would be awesome. Whether or not we win, congratulations to the person who does and a big THANK you to Faithful Provisions for the opportunity! Subscribe to my Email Newsletter – Love your info keep it coming. My husband would love to receive this camera–he wishes he could record our family’s special moments. The compact size makes it easy to use to catch those impromptu moments. I am loving these give-aways! I would love to win this Flip! My dad would love this! He is an avid fisherman who is always claiming the “big one ” got away! Now with the camera, he could document it b4 it slips away! Thank you Faithful Provisions! This would be GREAT to go along with the man God blessed me with as my GREAT husband who is a GREAT DAD to our 3 children. .-= Kristina´s last blog ..I’m going to be 34 this weekend… (I guess it should read that I AM 34… since I’m posting a little late) =-. Would love to win this for my hubby – we could send videos to our dad’s for Father’s Day! Oh, and I subscribe in a reader. This would be awesome to have…..it is so small and takes GREAT video!!!! This would be great for our 19 month old twins! I’m subscribing to you by email now! My husband would LOVE this. Our other video camera, that we just bought a little over a year ago broke. So this would be perfect! for some reason i cannot paste the link on my FB page. the security thing isn’t working. it won’t display the text for me to write in the box!!! but I’m going to post without the link. hope that is ok!!! Would love to win for my hubby. We just had our first child in April and have been talking about getting a camcorder. Oh this is fantastic!!! My husband would love this! What great giveaways!!! This would be great. We don’t have a camcorder. I am following you on Twitter and tweeted about this giveaway. I also subscribe to email. Thanks for hosting this giveaway! This would be wonderful to have and use! I am a fan on FB and posted this giveaway. I would love to win the flip slideHD camcorder! I would love to win this for my husband….he LOVES to take videos of our son! This would be great to keep in my purse for those unexpected things that happen with the kids. This would be AMAZING to win! Crossing my fingers!!! I would love to get this for my husband! New Twitter follower and just tweeted about the giveaway! My hubby would LOVE LOVE LOVE this!! awesome! I would love one! Awesome prize – hubs would love it! What a cool prize!! Please enter me in the contest!! Wow – this would be such a great gift for my husband for Father’s Day! Thanks for the super giveaway!! We would love this to keep in my purse and have one hand at all time. You never know when the kids will do something cute and/or funny. The flip is awesome. I am on your email. I left a post on my fb wall!! this would be awesome we have 3 kids and cant afford a video camera my husband would love video taping the kids with this and it is so small it would make life a lil easier!! I’ve been wanting a flip camera for so long! Would love this! I “like” you on facebook and posted about this giveaway. We have the old bulky one and I hate getting it to record. This would be really nice to have. These flips look so cool! This would be great, we haven’t been able to bring ourselves to buy one, although we have wanted one for eons. Super cool – would love one! My hubs fell down a river embankment with our camcorder… we NEED a new one and this one would be AWESOME! I would love this gift to replace my old camera. 2 small kids + husband who travels= missing moments. We have been wanting one of these. We have 3 kids 4 and under and this would be perfect! I know my husband would totally appreciate the light weight, or really almost no weight, of this. i love the flip. it’s so easy to use. i’d like to give one to DH. This would be so fantastic to win. A small camcorder for trips would be fantastic! Thanks! This would be a perfect gift for Dad!! We could use a new camera. Cool! What a great giveaway! Would love to have one! OMG this is such an awesome giveaway..my hubby would be soo happy…!!! My husband could actually send video, pictures and such to his family all over the country! We are not good at sending out things via snail mail. This would be great to use and send files via email. This would be great because it’s easy to use and to capture all our wonderful moments with our 9 month old. There are some things a regular camera can’t capture that a flip video camera would. Cool camera! I would love to be able to give this to my husband for Father’s Day! My family would love to have one! I am not sure who would have more fun with this… my hubby or my boys. They would love this! I would love to be able to catch all of my son’s “firsts” with this! I have always wanted one of these. Would love to win it! This would be awesome to have!! I just heard about these the other day. They sound sooooo coooool. This would be an awesome gift for my dad or brother! We so need something discreet to catch my son on film. Once he knows the camera is on him he stops showing off! We don’t have a camcorder so this would be perfect for us!!! .-= Beth´s last blog ..Kyleigh flower hair clip in coral red =-. I follow you on facebook . I would LOVE to win this! I’ve been trying to save for one, but it’s not working out so well. We would love the camera! This would be an AMAZING Father’s Day gift! This prize would be so much fun! My son is just starting to walk. this would be great! I would love to win this for my husband! This would be a perfect Father’s Day gift!! I follow you on Twitter and posted the listed tweet! Fun, Fun Father’s Day gift!!! Yes!!!! Me please! 🙂 Awesome giveaway. I’ve tried out this camcorder and absolutely loved it! It is so easy to use and is pretty good quality. I would love to own one! Just tweeted your prize info. Love, love, love this flip camera!!! How cool is this giveaway! I have been wanting one of these FOREVER! Just don’t have the extra to warrant the purchase…. I would LOVE to win it :)! I am now a subscriber … looking forward to it ;)! this would be great! I would love to always have something to capture memories on! Kelly – thanks for the opportunity. You should know that every time I click on the link to sign up for your newsletter, it says the page does not exist. I also cannot find a link anywhere else to do this. Would love to sign up, but can’t! Thanks! I’m dying for a FLIP! Thanks for the chance to win. I am already a Twitter follower and I tweeted! This would be great since we have 3 kids, our youngest is 3 months, and never have the camcorder charged. We have sooo been wanting one of these so this would be totally awesome! My husband would love this!!!! I would LOVE to get this for my husband. We do not have a video camera and, my husband works a lot. I would love to be able to take videos of the boys so he can watch things he misses. .-= Shannon´s last blog ..Wordless Wednesday: Can you spot the runner? =-. This would be a great prize!! Just got one for my husband, and let him open it early. He is in love with it! If I win this one, I would give it to my father-in-law. You’re added to my blogroll now! I love these because they are so compact. .-= Karen C.´s last blog ..Freebies! =-. I’ve got you on my blogroll. We need one! Thanks for the opportunity! Wow……………..we could so use that. Wow! We could really use a video camera! Awesome giveaway! what a cute video of your family! this would be a great addition to our camera! My husband would LOVE this!! Thanks for the chance! I follow you both on twitter (@dkad23) and tweeted. Thanks for providing all these great giveaways! .-= Glenda Embree´s last blog ..Our Adventures at Vacation Bible School =-. I follow you both on facebook (Kelly Deaton) and posted on my wall. thanks for the opportunity to earn free stuff for my man!!!! Love all your posts and money saving tips!!! I get your RSS with Google Reader. My husband has always wanted a Flip video camera! My daughter wanted to get him one but doesn’t have enough money. We’d love to win! I posted your giveaway on my blog’s Facebook page. I “liked” Flip on Facebook. My husband and I have been considering buying one of these to take pictures of our daughter who will be born within the next 3 weeks. What a cute video! I need this because my son keeps breaking my cameras. This would be amazing! So small I could keep in my purse! My hubby has been dying for one of these! Thanks! this would be awesome to take on camping trips! .-= brittany´s last blog ..New Website =-. I tweeted this giveaway! I’d love a Flip. We’ve heard that the FLIP videos are fun. We’d love to find out for ourselves! awesome giveaway! Would love to win this!! Follow you on twitter and tweeted about giveaway. I’m sure we would get a ton of use of this. Posted a reply on the Father’s day discussion on the blog frog. Following you on facebook and posted about giveaway. My husband could use this awesome gadget for work and play!! My husband would love this. He still totes our larger sized camcorder around everywhere! have been eyeing one of these for awhile!!!!! I’ve been drooling over the Flips ever since they came out. The HD’s are pretty cool, AND I really like that you can personalize your own design on the flip website! .-= Julie @ Knitting and Sundries´s last blog ..Book Review Party Wednesday June 9, 2010 =-. This would be perfect for our upcoming vacation. My husband would love it! I would love to win a Flip! .-= Stephanie @ Couponing 101´s last blog ..Tom Thumb (Safeway) Deals 6/9 – 6/15 =-. What a great idea for Father’s Day! Thanks for the opportunity to enter to win it! I’ve heard a lot of good things about Flip and really look forward to trying it. Thanks for the chance to win! These are such great inventions! I can’t even imagine carrying around a big bulky camcorder any more!!!! I subscribe to your posts! I’m a fan of you and of Flip on Facebook! If I win this, I promise I’ll send you a video of me…SMILING….as I give it to my granddaughter’s dad. How fun. This would come in great this summer! This is my favorite prize yet! Hope I win!!!! I love this flip slide camera! I get your email newsletters! .-= Courtney´s last blog ..A Jam Session! =-. Oh my! Great giveaway!!!! My Dear Hubby would LOVE this. He has been wanting one of these, but it just is not in the budget at this time. Facebook fan/follower and I shared this on my page too. wow, I couldn’t get to the bottom of this one! New comments kept popping up! Would love to win this for my hubby. We would love to win this more than anything. Our little boy just turned one, and he is doing funny things every day that we would love to capture! These are such nifty little devices that you can slip into a purse or diaper bag to use without having to lug around a camera case. Wonderful giveaway! Hubby’s dad just got admitted to a skilled nursing facility. This would be great, so we could easily send him videos of our kids from many states away! would love to give this to my hubby on Father’s Day! .-= AmyStrohmeier´s last blog ..Farmer’s Market =-. This would be perfect for us! I’d love to have an easy way to record videos. Your badge is on my blog! I love the little monster on the camera. Can I be guaranteed one of those? Follow on twitter and “tweeted”! I would use a video camera this small all of the time!! Started a discussion on blogfrog! I subscribe in google reader now! This would be great, since we just had a new baby and we don’t have a camcorder other than the video setting on our camera. My Hubby would have a great time with this Flip! my dad would love this for his motorcycle trips! ooh! Would love to win this! Still have a giant old video recorder – this would be great! I would love to get rid of my 8mm dinosaur camera and replace it with this!! Thank You!!! Would love to give this to my dad for fathers day! .-= Sandra´s last blog ..Thought Of The Day =-. Would love to win this for my husband! .-= Mikki´s last blog ..Harris Teeter Deals 6/9-6/15 =-. My daughter is getting married in December and this would be a fantatic gift to give them for their honeymoon. sounds great! Sign me up please! Our camcorder died, so we need this! What an awesome giveaway, this would be perfect for my dad! My husband and I are planning our little girl’s first trip to Disney World and would LOVE to be able to capture all of her shenanigan’s in the parks. What a great camera!! This would be great for our family. Myhusband would love this, thanks! Wow, I know a dad who would love this!! Would love to get rid of the old style camcorder!! I signed up for your email newsletter. Thank you for your great site, and all these giveaways! how cute is that! Thanks! I added your message to my Facebook page! Thanks! We desperately need a video camera!! I would LOVE to win this!!! What a great giveaway! This is awesome! We don’t have a camcorder so this would be lots of fun! A flip camcorder would be so great to have – so many uses! I’d love this for all of our memories with the kids! PLEASE! My husband would be so excited to get one. oh man we’ve been wanting one of these!!! .-= Sara @ It’s Good to be Queen´s last blog ..this is a sad post. =-. Oh my goodness!!! We’ve actually been researching online for a camcorder and were seriously considering this phone. This would be an awesome fathers day gift. Awesome giveaway and cute video! It would be so awesome to win this! .-= Tricia´s last blog ..Mrs.MoneySaver TV Giveaway =-. Would love to have this..I follow on Facebook. This would be so fun to use with the kids! They do SO many cute and funny things daily! Would love a new camera. What a cute protector on the one you have shown. I have been looking for a video camera and it would be great to win it instead of pay for it! .-= Karen´s last blog ..Enter to Win a $25 MasterCard Gift Card =-. I have been wanting one of these sooooo bad. My hubby is military and is leaving in 3 weeks for 6 months. We have three kids and I love to post videos to my blog to keep him updated. Our family has doubled in the past year….would love to have this camera to take videos with!!! I would love to win this-thanks! I would like to win this because ours is old tape kind.My hubby was looking for a new one. I have been wanting a FLIP! This would be beyond cool. We would be able to capture all those family moments with the kiddos. Hubby love the homemove thing, and this would make that so much easier for him. Like Faithful Provisions and Flip on Facebook and posted! Our video camera died….how fun to have one of these. This would be a cool father’s day gift for my hubby or dad. Thanks for the giveaway offer. Useing the old VCR Camcorder. Time to upgrade? Already a subscriber to the email newsletters. Added you to my blog list. Would love for my hubby to get this! Liked you both on Facebook and posted to my wall. Oh we so need this! Our video camera is out of commission! SWEET!!! Perfect gift for my hubby for Father’s Day! I hate my giant camcorder! This would be a great gift. I subscribed to your e-mail newsletter! Adorable kids! I would love this to video my cuties, too. Thanks! This is too cool and so small! We’ve never had a video camera–this would be so much fun. cute and easy to use! my husban would love this! this would be really neat! The Flips look so cool plus in HD that sounds awesome. My dad would love this camcorder :). It looks really easy to use, which is important for him too :). this would be an AMAZING prize to win! My camcorder broke years ago. What I wouldn’t give for a new one! .-= Christina Burrell´s last blog ..Sweet Cherry Pie =-. This would be WAY too much creative FUN for our family to win. Thanks for the chance. I would love to have one of these of my own. What a cool gift this would make! Thanks for the giveaway. The small size of the Flip SlideHD camera is cool! We have no family in the state we live in due to a job relocation. This would be perfect to keep the family updated on the kids. I have never owned a camcorder – think it is about time!!! This would make such a great Father’s Day present. I’ve used my mom’s and it’s soooo simple. My kids love to use it too! Pick me! Pick me! Love this! It is so cool! This would be great for summer trips. .-= Jenn@FFP´s last blog ..Save Money on the Road with RaceTrac this Summer =-. Hubby would have a blast with this filming the children. .-= Georgette´s last blog ..Homemade Cleaners =-. This would be sooooooo coool! love this family has this and they love it! This is the coolest looking of all recorders I’ve seen! Wow! What a great fun way to capture memories! I would love to give this to my husband! I wish I’d had one of these for my wedding! My husband could shoot some great videos of our family with this. We’d love it! Oh this would be so nice to have! We were just looking at this on amazon. this would be awesome so i can make videos of our new baby to send to our family members out of state! Flip cameras are great! So small and convenient! Would love to capture the daily happenings of the kiddos! We have three little ones! This would be a great! Thank you for your giveaways! It looks pretty fun to use! Thanks for a chance to win this camcorder! I am following you on twitter and tweeted http://twitter.com/rusthawk/status/15910091031. This is great! He currently has a cheap camera that takes AA batteries and he’s always complaining that he would like something better! I just keep trying to win one of these! We haven’t purchased a video camera in over 10 years so you know our camera is old, hard to use, and often then not we do not use it! Love this giveaway! Thanks for sharing. We have a new baby boy. This would be great to capture his funny moments! Would love to win a flip! Would love to be able to give this to my husband, he definitly deserves a cool gift like this one! Cool gadget!! Thanks for the chance to win one. Perfect for a 2yr old on the go. would love one of these for our family! We need this BADLY our back deck is horrible right now!! Ooops!! Had two tabs up and clicked on the wrong one!! HAHA!! My husband would love a Flip Slide, he’s always taking videos with our big bulky camcorder!! Made the post on FB! great prize – hope I win! I’d love to win this for my husband. Thanks for the chance! I “like” you both on facebook (Kelly Deaton) and I posted this giveaway on my wall. My husband would love to see everything he misses while he is deployed! This would come in handy! Thanks for the chance to win! .-= Crystal @ Simply Being Mommy´s last blog ..Southwestern Chicken Quesadillas Recipe + BBQ Tool Set Giveaway =-. This looks small and simple. Perfect. I subscribe through your RSS feed! I would LOVE to win this giveaway! Thanks for all the time you spent to put these all together for us! I’m your fan on facebook and posted to my wall. Oooh, pick me. Looks amazing and we lost our other small video recorder in our recent move. .-= Kristen´s last blog ..Free muffin at Barnes and Noble with purchase =-.